Jan 12, 2011: Photos of the conference have been online. 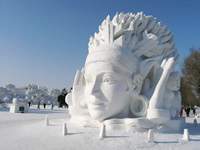 Jan 12, 2011: Table of content of the conference proceedings is online. 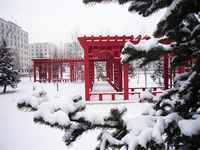 Jan 12, 2011: Message from program chairs is online. Dec 26, 2010: Please kindly take note that conference will at the Multi-function Hall in Modern Hotel. Dec 8, 2010: Conference program is online. Nov 10, 2010: Hotel information is available now. Please kindly make your booking as early as possible. Oct 7, 2010: Information on visa and invitation letter is available now. Oct 4, 2010: Details of invited talks are online. Sep 22, 2010: List of accepted papers. 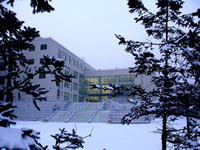 Sep 22, 2010: The conference is sponsored by National Science Foundation of China. Sep 18, 2010: Online registration starts. Aug 21, 2010: Information about the conference city is updated. Aug 15, 2010: The paper submission deadline is extended to Aug 21, 2010. May 10, 2010: This website is set up. 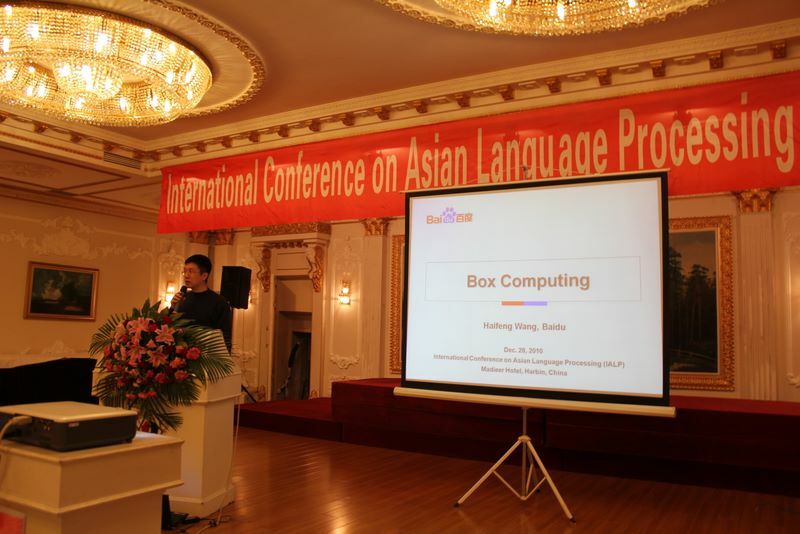 The International Conference on Asian Language Processing (IALP) is a series of conferences with unique focus on Asian Language Processing. The conference aims to advance the science and technology of all the aspects of Asian Language Processing by providing a forum for researchers in the different fields of language study all over the world to meet. The first meeting of the series was held in Singapore in 1986 and was called the International Conference on Chinese Computing (ICCC) then. This meeting initiated the study of Chinese and oriental languages processing in Singapore and resulted in the formation of COLIPS in Singapore in 1988, as well as the publication of the journal "Journal of Chinese Language and Computing" in 1991, which is known as " International Journal on Asian Language Processing" today. IALP 2008 was held in Chiang Mai University, Thailand and the proceedings were indexed by ISTP/ISI. Last year's IALP 2009 was held in Singapore and was co-organized by COLIPS and IEEE Singapore Computer Chapter. The proceedings were published by CPS (Conference Publication Services) and submitted for indexing in EI, ISTP/ISI and Current Contents on Diskette. 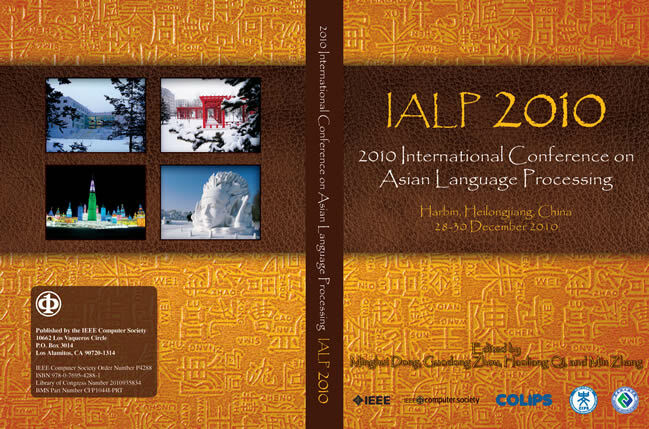 International Conference on Asian Language Processing 2010 (IALP 2010) will be held in Harbin, China on Dec 28-30, 2010. We will continue to work with CPS to publish the conference proceesings. They will be included in the IEEE Xplore digital library and submitted for indexing in INSPEC, EI, ISTP/ISI and Current Contents on Diskette. 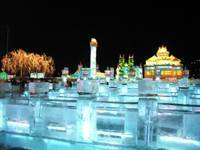 The conference is supported by National Science Foundation of China.